Heavy metal is one of the more unique genres of music for a variety of reasons, and has been since its long-term gestation from hard rock and blues. Of those reasons, it is perhaps the style’s entirely ambiguous perspective on evolution that sets itself apart from most other branches of the music family tree. Many of the more foundational styles, like jazz, blues, and certainly classical (or ‘neo-classical’ as it is practiced in modern times) largely hold to their roots, anchoring themselves within their long-held cultural footprint and allowing the odd experiment here and there to branch off and become its own identity (like metal) while still staying true its original form. Other styles, such as pop and hip hop, require constant and all-encompassing change in order to maintain mainstream relevancy, flowing to different forms altogether while leaving the past almost completely behind except for reference and recycling. Metal however, could not seem to care one way or another; evolution can bring sweeping change to one side of the genre while the other can convince the casual listener that three decades have done little more that wear the paint a little. Adaptation is a do-what-you-will matter in the world of heavy music. Iron Maiden can release the same album today that they could have in 1986, whereas Finland’s Convulse would need a few nights and many beers to introduce their early selves to the modern oddity they now are. 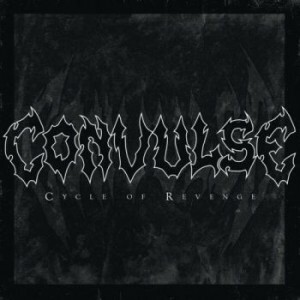 Starting their career as a traditional Scandinavian death metal act, Convulse soon followed many of their regional brethren like Dismember and Entombed into the death ‘n roll territory on their sophomore release ‘Reflections’. Evolving their sound between only their first two records (not counting their earlier years playing speed metal under the S.D.S. moniker) already showed a readiness for change, though unfortunately everything would come to a halt for nearly two decades before the Finns would release new material. 2013’s Evil Prevails saw a return to form of sorts, featuring a robust tracklist of traditional early-era Swedish death metal material, but in a showing of true cyclical nature the band has now released an album of completely reinvented stylings with Cycle of Revenge. Gone is the straightforward faithfulness to their foundational core sound; instead the band has opted for a near diametric openness in both style and song structure for their fourth release. Cycle is bathed in a wash of jamband psychedelia, replacing bluesy buzz-saw leads with trippy six-string wanderings. The opening title track features a nearly listless melody that channels a strong sense of My Sleeping Karma as it wanders its way through the song. This is backed by the cavernous death growls trademarked by the band, though delivered at an almost glacial pace relative to their past style. The middle section of the song makes space for a jammy solo section for the guitar, a feature that most tracks on the album structure themselves around. This flavor is repeated for most of the record, though in distinct ways respective of each song; ‘God Is You’ picks up the tempo considerably and sounds markedly more Middle Eastern influenced, and ‘Pangaea’ dials in the heavy groove of Roots-era Sepultura. To be sure, there is still the unmistakable death metal band known as Convulse helming this ship; the vocals are still deep and gruesome sounding, and the music still has a penchant for brutality when woken up from its purple haze. It is death metal, it’s just that death metal has never been so mellow and trippy. Auto-wah’s, flangers, and rotovibes saturate the guitar tones on Cycle and the I’ll-go-wherever-the-hell-I-want attitude of the leads fit the psychedelic direction perfectly. 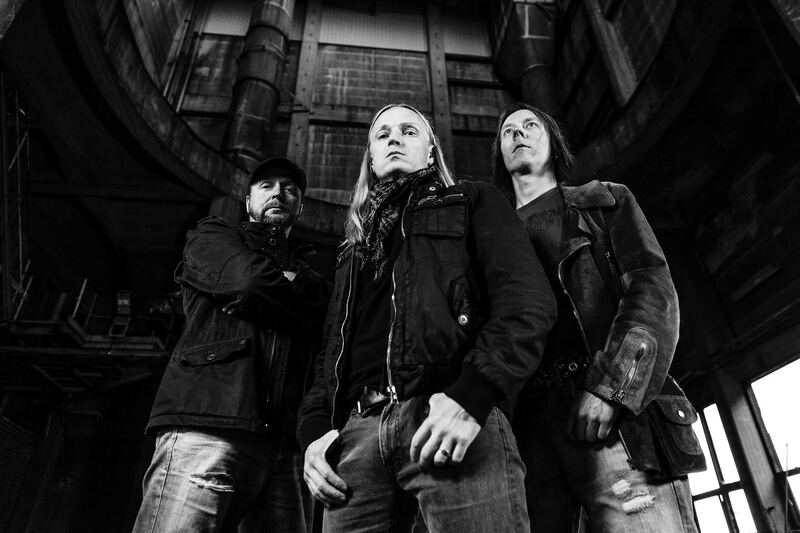 Most of their first album’s influence is absent, although there is an undeniable vein of their Reflections-era death ‘n roll approach present on the new record. Retrospectively, it becomes obvious that this album is the result of a band with no desire to offer the same product twice; of their four albums no two are the same, World Without God and Evil Prevails share a spiritual bond but are removed by two decades, Reflections embodies its own space in their discography and now Cycle of Revenge takes the veterans into territory never even hinted at in their history. If Convulse had stayed true to their roots they would undoubtedly still be making respectable old-school death metal albums; instead they chose to evolve well past that and the end result was well worth the chance taken. Conclusion: Cycle of Revenge is a complete reinvention of a classic death metal band’s sound in the best possible way. It perfectly marries brutality, psychedelia, and jam-band experimentation into one coherent package of great music.